Around Town: April 1! | The House of Martins The House of Martins: Around Town: April 1! The Sacramento Speaker Series always has interesting people planned for the year (next season includes Bill Clinton.) This week on April 3 - the speaker series is featuring a Sacramento native Lisa Ling. Who I always remember on that T.V. show Scratch! - does anyone else remember that? If you have or can get tickets - I'd think she'd be really interesting to hear speak. 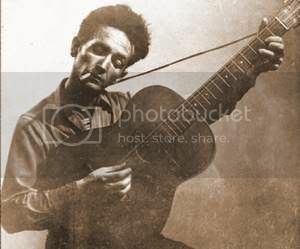 Woody Guthrie's American Song started this weekend at the City Theatre. It runs through the end of April and I think would be great to see. I know my mom would love it - so maybe this would be a good family outing. The lyrics to his folk music are just amazing. Il Fornaio's Festa Regionale goes to Calabria this month (April 2-15.) Check out the menu, I think the risotto sounds delish.